Tens of thousands of Muslims want athletic giant to recall shoe that appears to say 'Allah' on the sole. Muslims are enraged after a new Nike sneaker appears to say 'Allah' on it when read from right to left, something that is considered to be an insult in the Arab world. A petition on Change.org demands that Nike recall the Air Max 270 from stores under the claim that the shoe "insulted Islam". By Thursday, it has gathered 24,445 out of the 25,000 signatures needed. "It is outrageous and appalling of Nike to allow the name of God on a shoe. This is disrespectful and extremely offensive to Muslims and insulting to Islam. Islam teaches compassion, kindness and fairness towards all," says the petition. 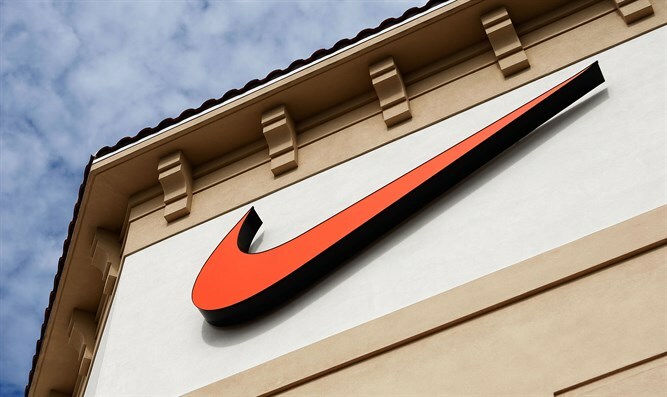 "After recalling trainers in 1997, which had a similar logo depicting the word Allah, Nike claimed to have tighten scrutiny on logo design. So why has a similar design been approved?" "It is intended to reflect the Air Max brand only. Any other perceived meaning or representation is unintentional," said a spokesperson. Meanwhile, more than 4,000 Muslims have signed a petition against Marks & Spencer's Aloe Vera toilet paper, which they say is embossed with G-d's name. The petition claims that the embossing is a "deliberate insult to our religion" and demands that Muslims boycott the toilet paper brand, and Marks and Spencer's stores.